I'm looking for work as a 3D modeler. I have about 10 years experience with 3DS Max, AutoCAD, Revit, Cyclone, PhotoShop etc, etc. I have recently been creating some very large models for the petrochemical industry. I also have access to and extensive knowledge of 3D laser scanners and meshing software. 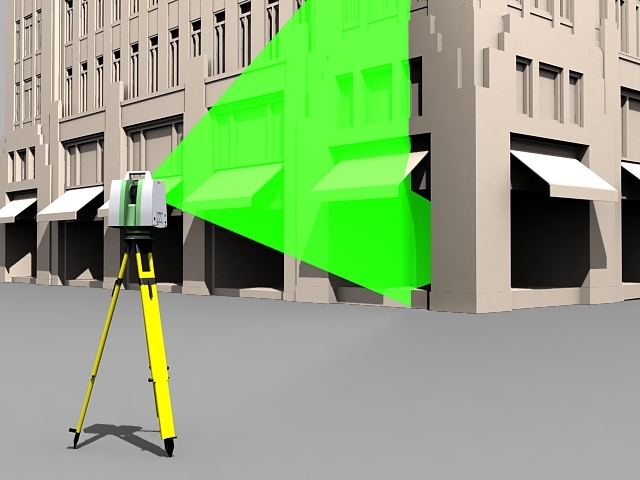 3DS Max is where I am quickest and the attached is a model of a 3D laser scanner which took half an hour to create in max from a photo. I am based in Berkshire UK. I have a need for a 3D modeler that is proficient with Max. Very simple low poly buildings, gaming industry, for the right person and price, could be long term. Many projects. Please send me a PM if you are interested. Thanks. I tried to PM you but it says I have to write 10 posts before I am allowed to PM! Can you PM me as I am interested in working for you.